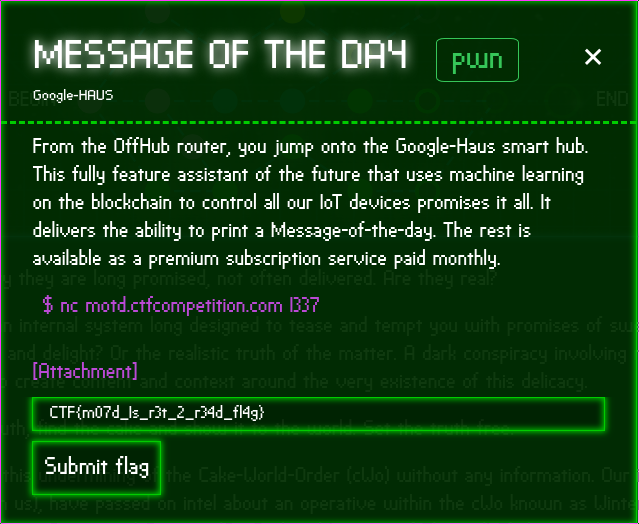 From the OffHub router, you jump onto the Google-Haus smart hub. 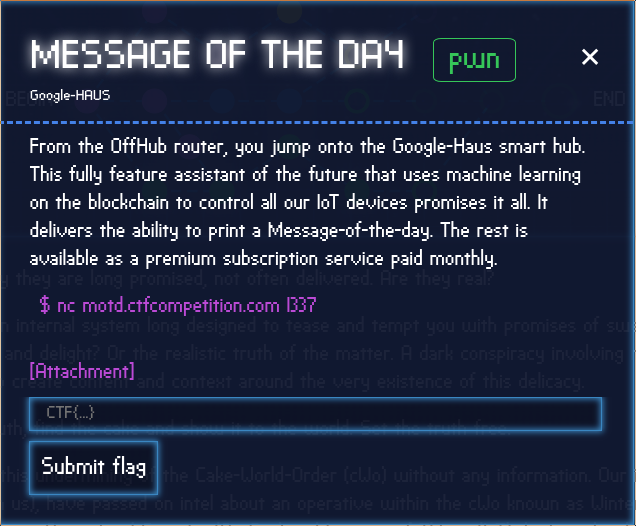 This fully feature assistant of the future that uses machine learning on the blockchain to control all our IoT devices promises it all. It delivers the ability to print a Message-of-the-day. The rest is available as a premium subscription service paid monthly. 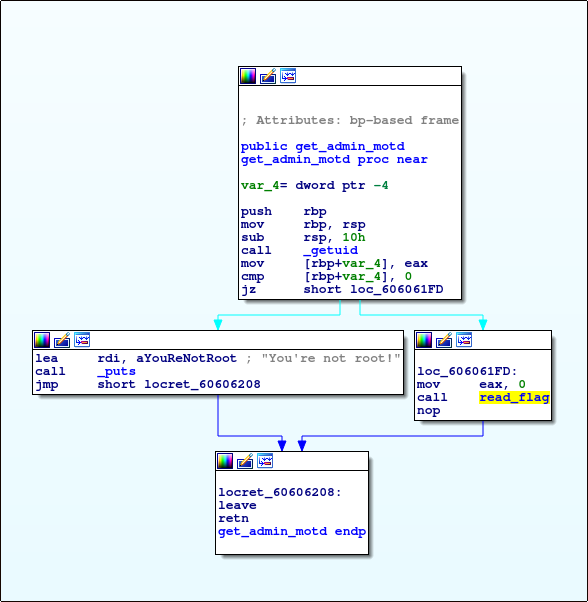 In the main function inputs taken by getline. If we want to use overflow memory vulnabities we must to search gets() funcition. Luckly, I found that, in the set_motd func. Also, buffer size is 0x100 which means 256 bit. we can use this memory for jump the given adress. 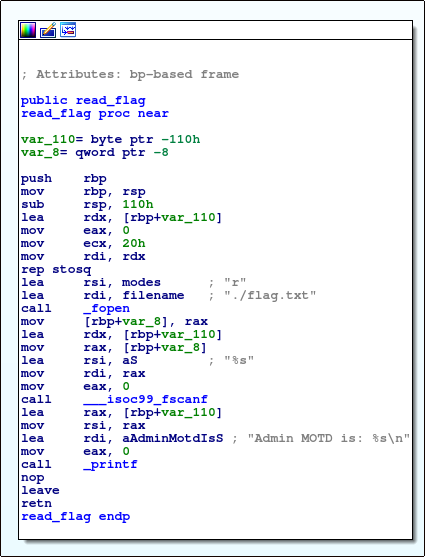 We must the find address of the flag, so that I found the get_admin_motd function and I saw read_flag function. 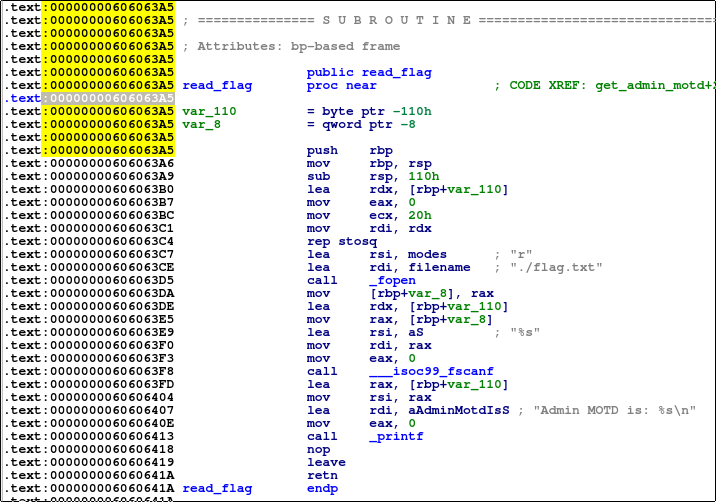 read_flag function opens the ./flag.txt file. It can be flag file I found the address. 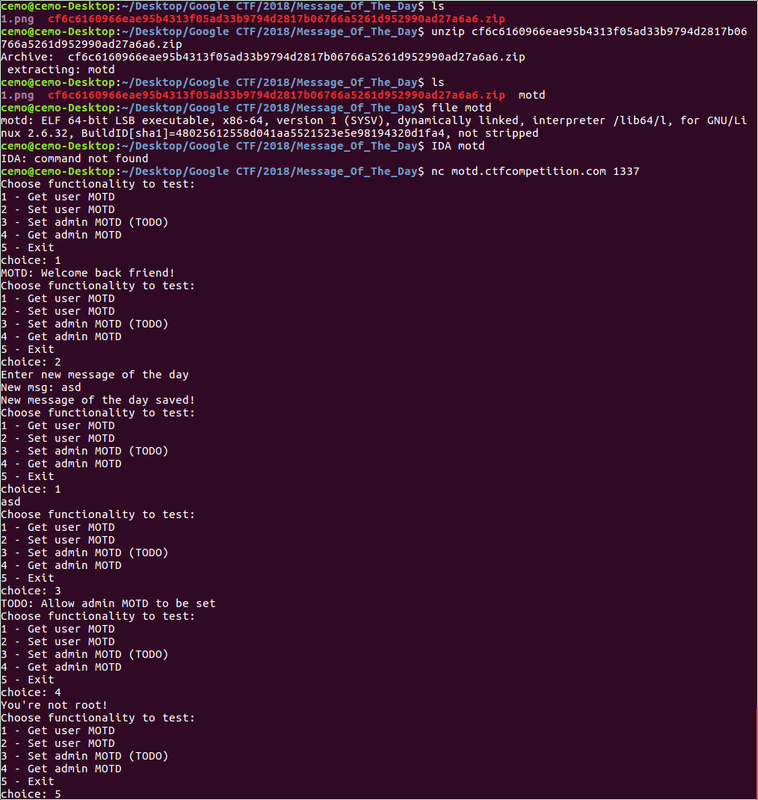 Now I am try to bruteforce for jump that line. # Proxy object for sockets. # Base for any of my ROPs. # Put your code here! 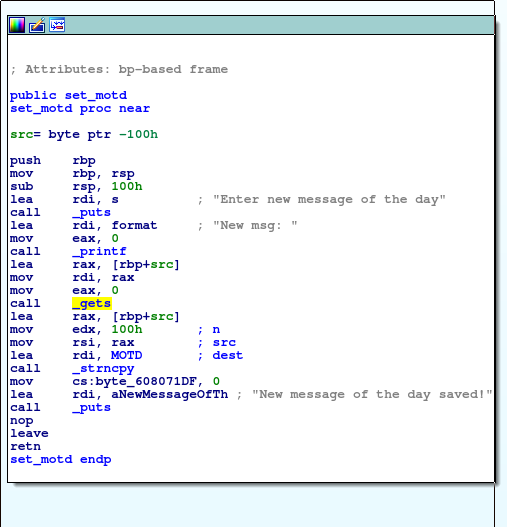 # to parse incoming packets.